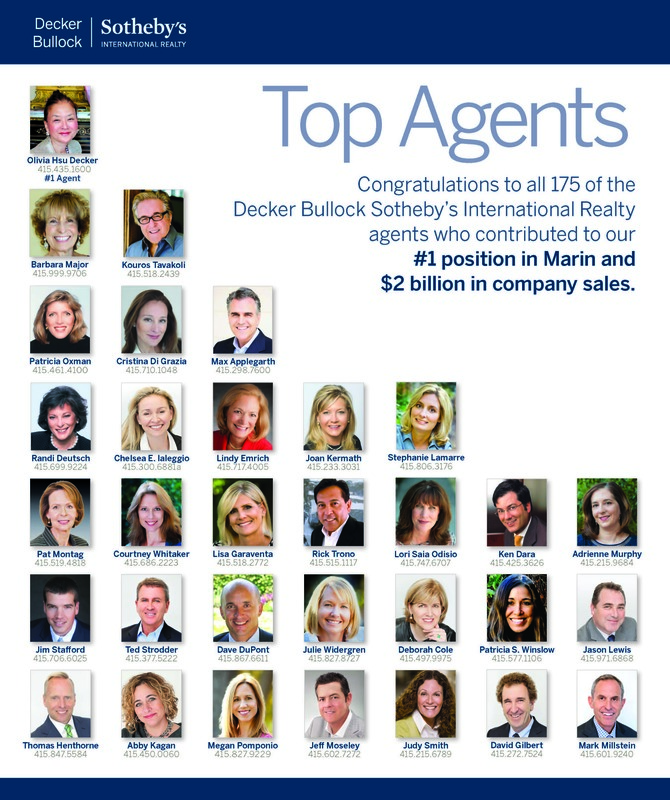 I am extremely honored to be a part of Decker Bullock Sotheby's International Realty team for 2015. We had the #1 position in Marin with over $2 Billion in sales for 2015. 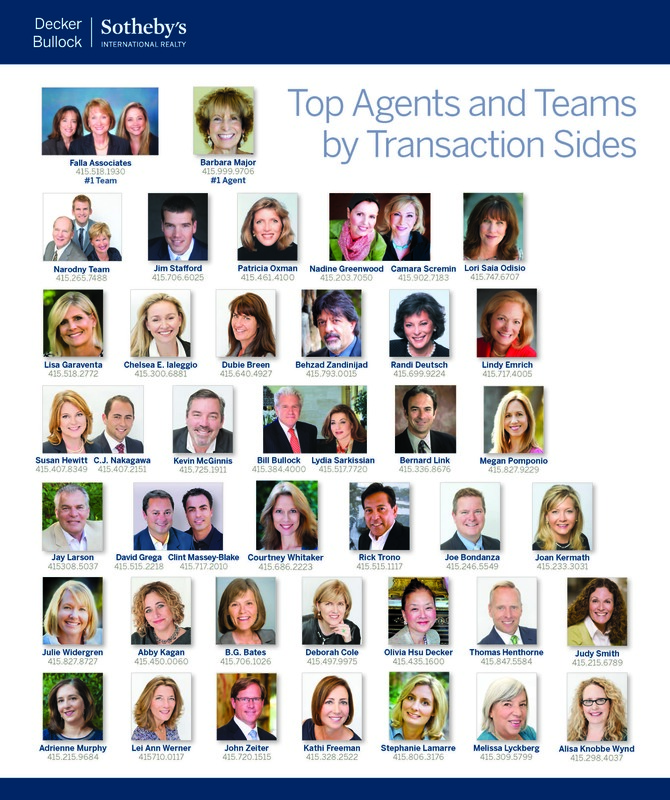 Thank you to all of my clients, friends, fellow agents and family for your trust and support. You helped me make 2015 my best year ever! I wish you all a happy, healthy and prosperous 2016!